The Catalan is a solid yet flexible chess opening system that is popular on all levels. Both amateurs and top-level strategists such as Vladimir Kramnik and Vishy Anand employ this opening to put a lot of unpleasant pressure on Black. 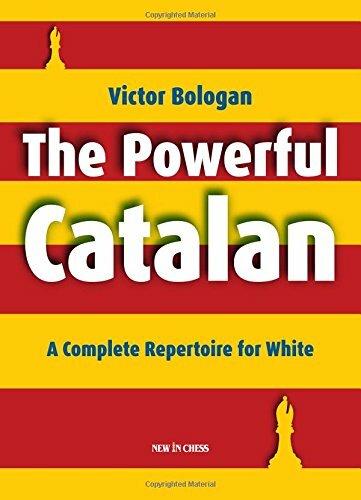 In The Powerful Catalan grandmaster Victor Bologan presents a complete repertoire for White that covers all of Black’s responses. Also included are those variations where Black tries to steer the game into other openings like the Queen’s Indian or the Tarrasch Defence. The book is classically structured (starting with the rarest variations before moving on to the most popular ones) and contains original analysis of many recent tournament games. Bologan’s clearly formulated verbal explanations are essential for a good understanding of the strategic plans and the tactical themes of the Catalan.